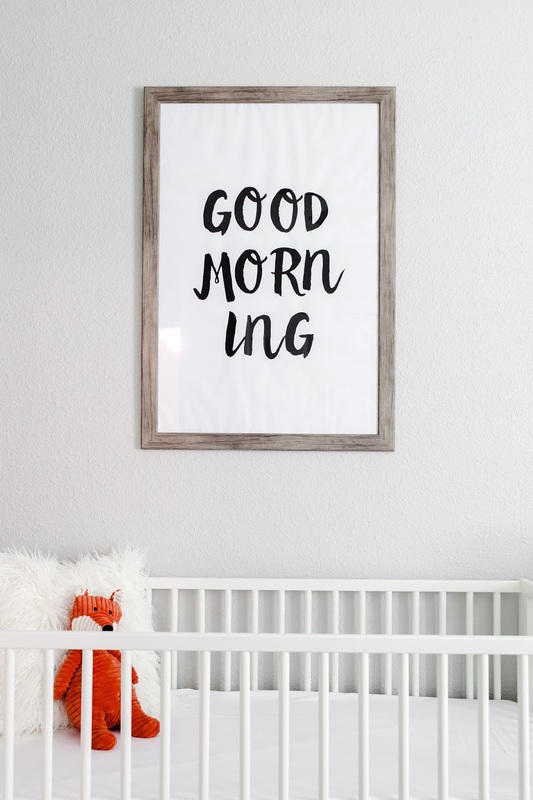 I'd love to share with you the details of my decorating process of Walt and Whitney's twin nursery over the next few weeks. 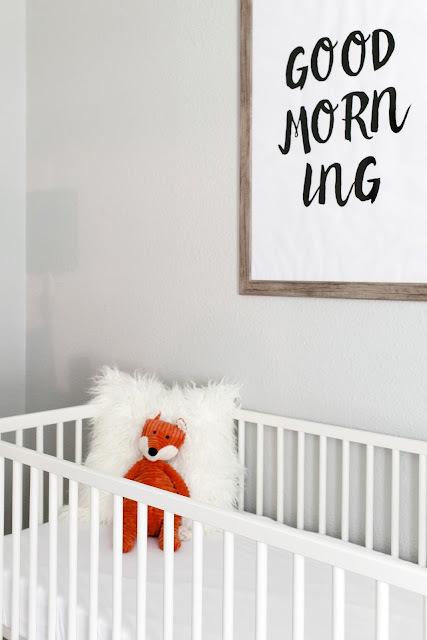 First up...the wonderful posters above each crib (I do realize I'll have to move them once the babies can pull themselves up). I have been following blogger, Bethany Menzel, for a couple of years now and fell in love with these posters she designed. I pinned them before I was pregnant not knowing if I would ever use them. 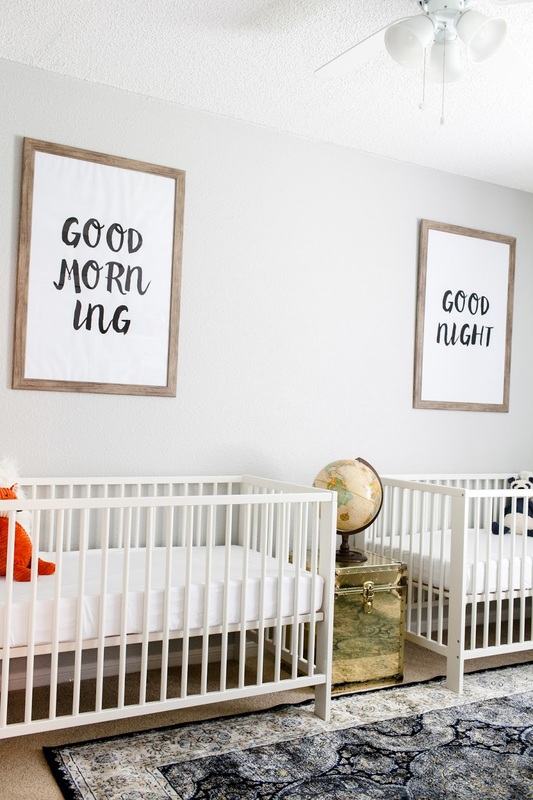 When I found out I was having twins I immediately remembered the posters and knew they would be PERFECT! Plus, the price tag was nice. In Bethany's post she gave great advice to have them printed as black and white engineering prints, which came out to less than $4 per poster (24x36). If I would have printed them as normal posters, it would have cost over $40 per poster. I bought the faux wood frames from At Home for $25 each. These posters are so much more than decor to me. Bethany recently lost her baby, Goldie, and I followed along her family's heartbreaking journey. I cried reading her story and seeing photos of Goldie. Bethany and her family have been faithful, strong, and brave. When I look at these posters I say a prayer for her family and her sweet baby Goldie. The posters also remind me to be extremely grateful for every day I get to spend with my family. 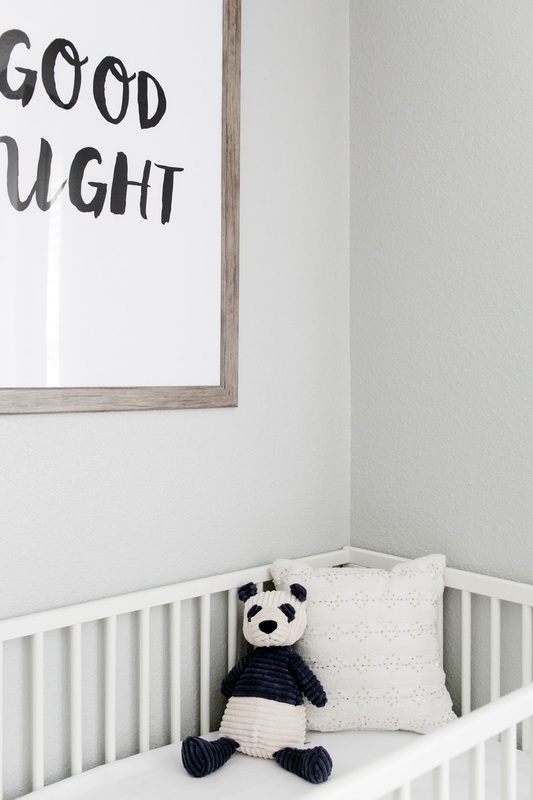 See the full nursery reveal here!